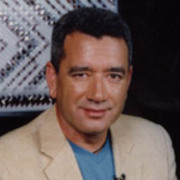 Tainui Stephens is an independent producer, director, writer and sometimes presenter. 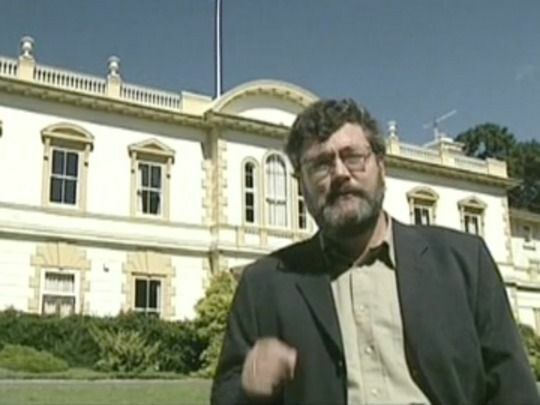 He started his broadcasting career with Television New Zealand’s Koha in 1984. 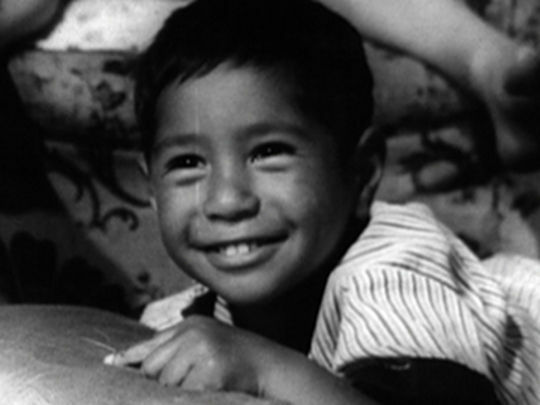 Stephens has been responsible for bringing many Māori stories to screen. 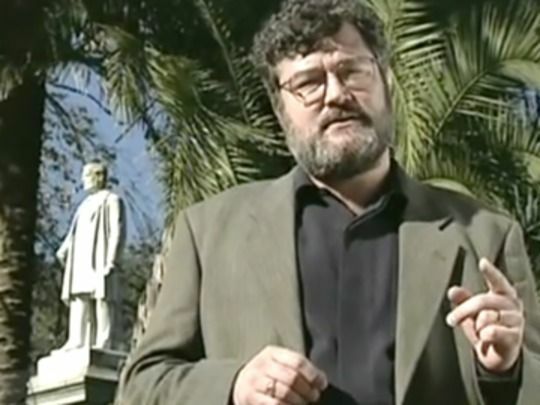 Notable historical stories he has helmed amongst his extensive screenography include a Māori Battalion doco, feature film River Queen and TV series The New Zealand Wars. 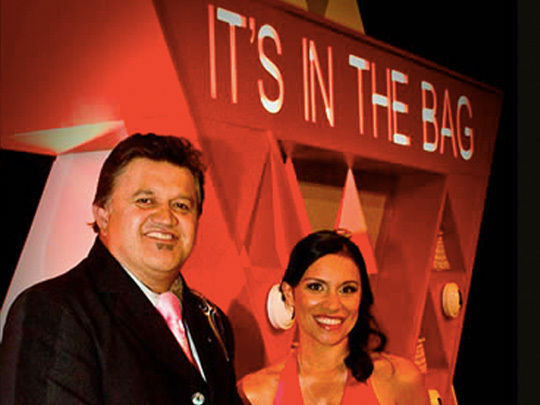 In this Māori Television reboot of the classic game show, presenters Pio Terei and Stacey Daniels Morrison take the roadshow to the North Island town of Ohakune, under the foot of Mount Ruapehu. To be able to barter for te moni or te kete, contestants have to successfully answer locally themed questions. 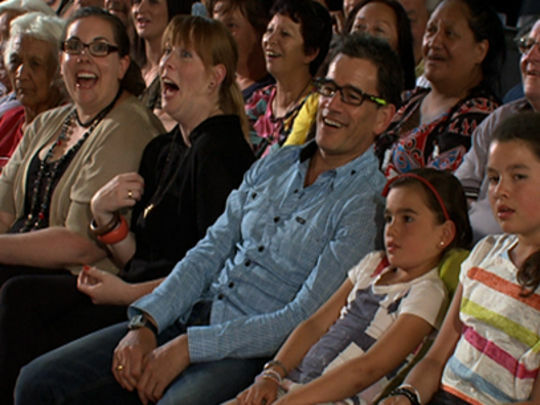 In this fifth season episode, contestants — including one who saw Selwyn Toogood in the original show as a six-year old — are quizzed on giant carrots, halitosis, stamps and ski fields. Imagine those famous carrots in the MultiKai cooker! 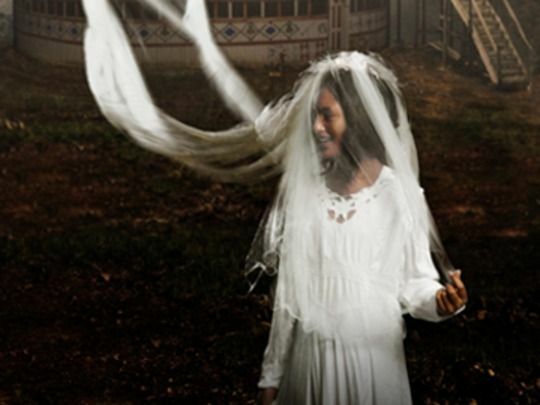 Released in Kiwi cinemas in August 2009 — after winning praise at festivals in Berlin and Rotterdam — The Strength of Water marks the big-screen debut of Māori playwright Briar Grace-Smith, and Pākehā director Armagan Ballantyne. 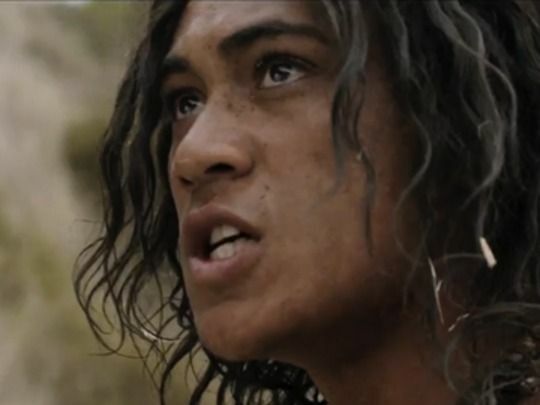 The film centres on a 10-year-old twin brother and sister in an isolated part of the Hokianga, and the events that follow when they encounter a young stranger. 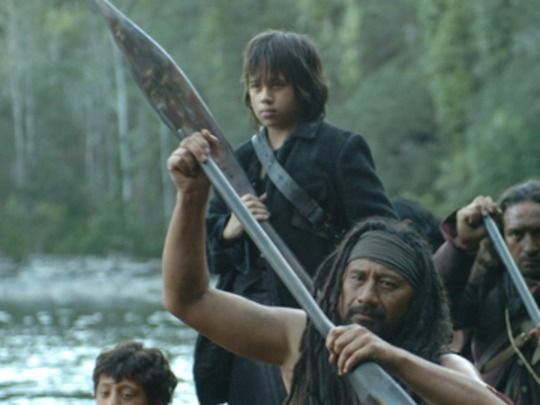 The Strength of Water merges a spare, naturalistic portrait of a Māori family struggling to stay above water, with moody images of earth and sea, loss and new beginnings. 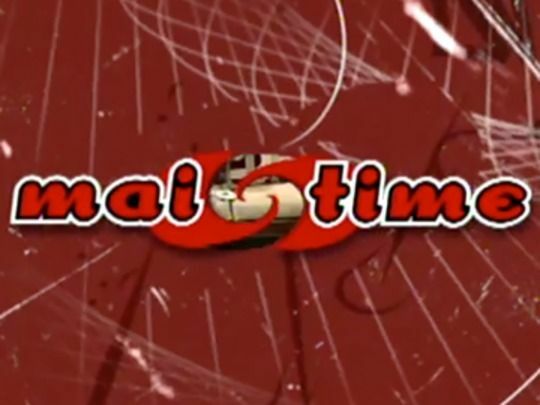 Mai Time was an influential magazine show for Māori youth, exploring te ao Māori and pop culture (it was one of the first shows to screen local hip-hop), with presenters speaking in te reo and English. 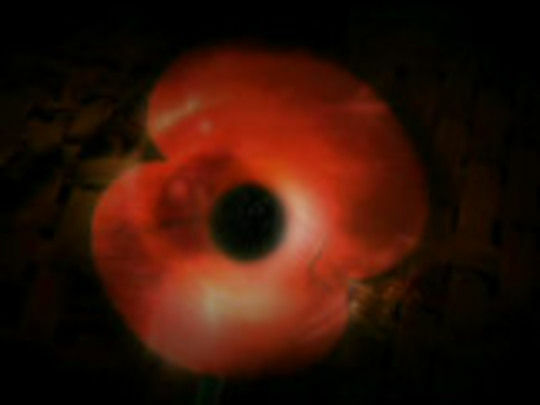 This one hour final looks back over the 12 years of the show, beginning with a roll call of hosts: including Stacey Morrison (nee Daniels), Quinton Hita, and Teremoana Rapley. Current hosts Olly Coddington and Gabrielle Paringatai look at the show’s impact and legacy, as well as Stacey’s “mad facial expressions”, Patara’s Stubbies and Quinton’s Peter Andre tribute. Eddie (Stacey Tukariri) is a 10-year-old skater who, like many a suburban dreamer, has his sights set on riding the steepest slope in town (the Bullock Track in a pre-gentrified Grey Lynn). 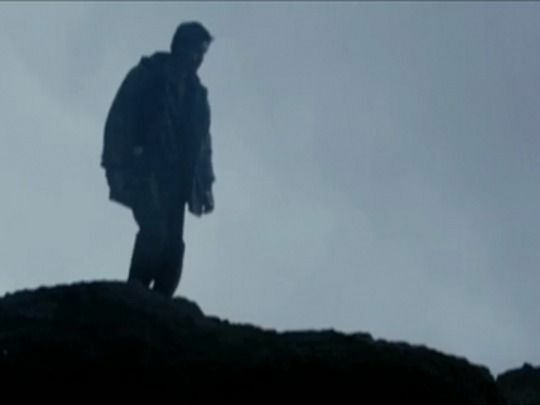 Although his father isn't happy about it, Eddie's hero is his teen neighbour Duane: wheelchair bound after wiping out on ‘the hill’.  Directed by Tainui Stephens — his first dramatic short — and written by Brett Ihaka, the young Māori odd couple story screened at the Sundance and Berlin Film Festivals. Future Mt Zion director Tearepa Kahi plays Duane, and the score is by hip hop legend DLT. 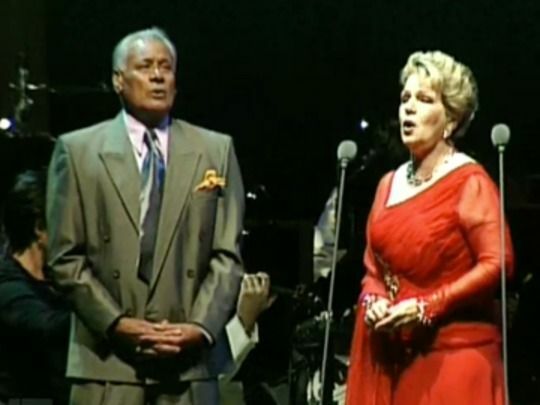 This documentary tells the life story of entertainer Sir Howard Morrison. 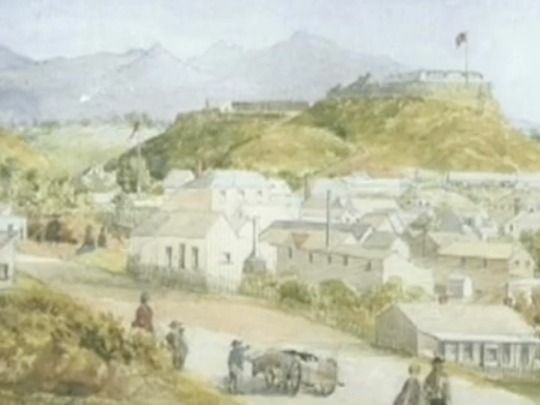 He discusses his Te Arawa whakapapa, whānau, and Anglican faith. 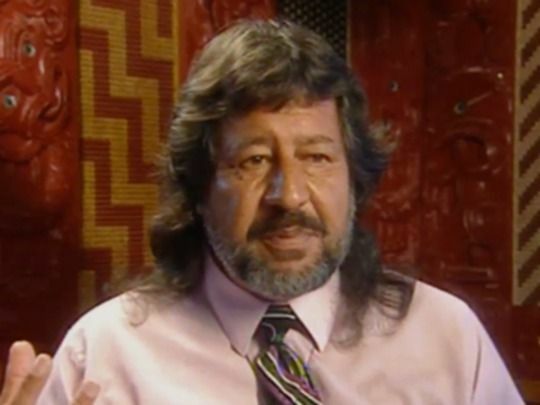 Made by Bryan Bruce, it Includes footage of Morrison's investiture, a visit to his old school Te Aute, early performances by the Howard Morrison Quartet in Rotorua, and performances from throughout his career. 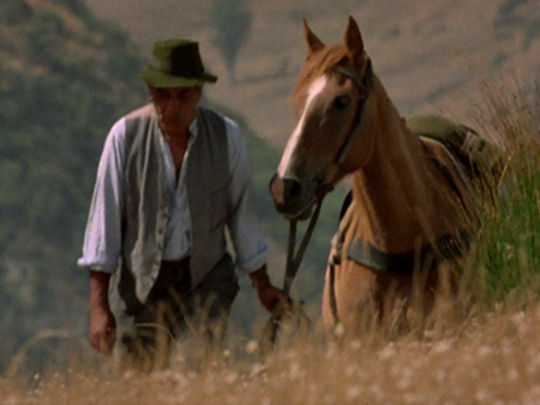 Morrison is candid about his ego, his foray into film, and his marriage. 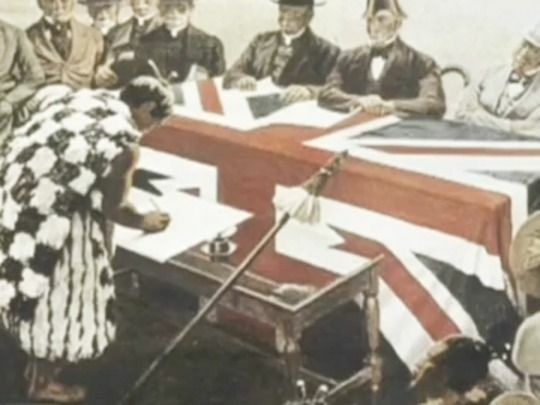 An especially touching moment is a visit to an old Tūhoe friend (Morrison spent his early years in the Urewera) with a cloak made for his father. 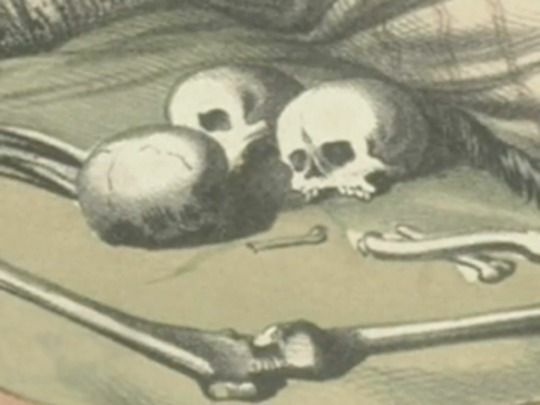 Mike King presents the story of Gustavus Von Tempsky: swashbuckling colonial soldier of fortune, "flamboyant folk hero" and "our first pin up boy". 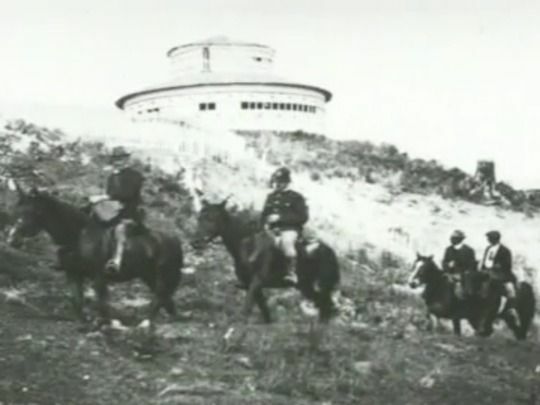 The Prussian-born artist, self-promoter, romantic and adventurer, led an elite unit — the Forest Rangers — in the 1860s New Zealand Wars, garbed in trademark Garibaldi shirt, kilt and calvary sabre. 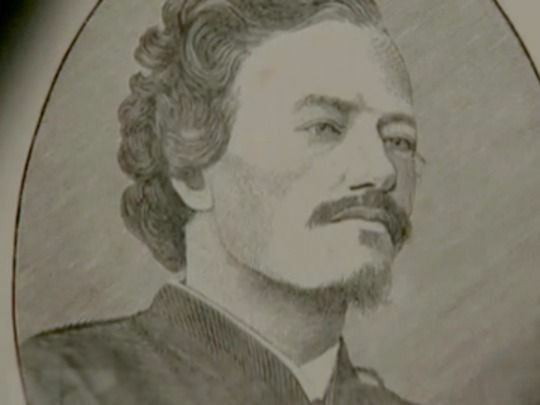 His bush-fighting skill attracted respect from Māori foes, who named him "manu rau" (many birds); but also controversy after an infamous raid. 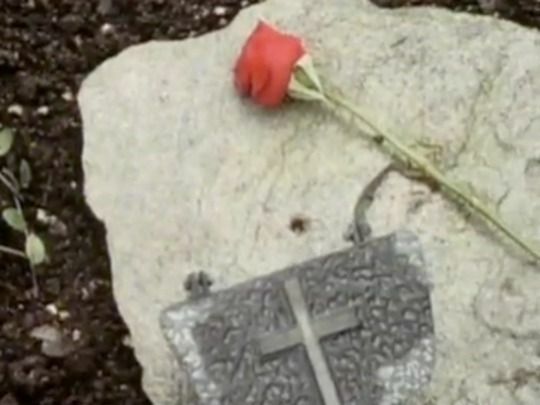 He met his demise fighting guerilla leader Titokowaru. 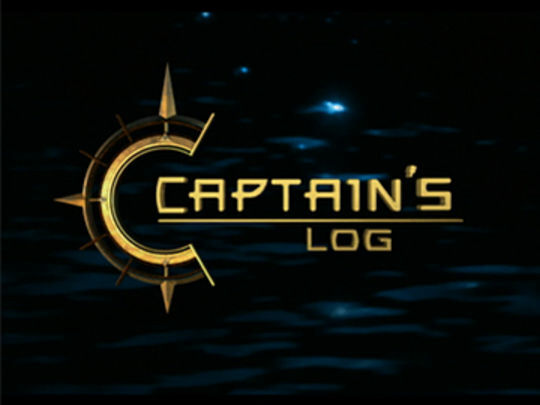 Actor/presenter Peter Elliott traces Captain James Cook’s first voyage around New Zealand in this four-part series, which was named Best Documentary Series at the 2002 NZ Television Awards. Starting from the North Island’s east coast, he ventures north before hitching rides down the island’s western side, nipping through Cook Strait on his way down to Lyttelton. The conservation history of Fiordland is explored, as are the rugged seas of the West Coast. Among the many ships Elliott journeys on is Spirit of New Zealand, a square rigger quite similar to Cook's HMS Endeavour. 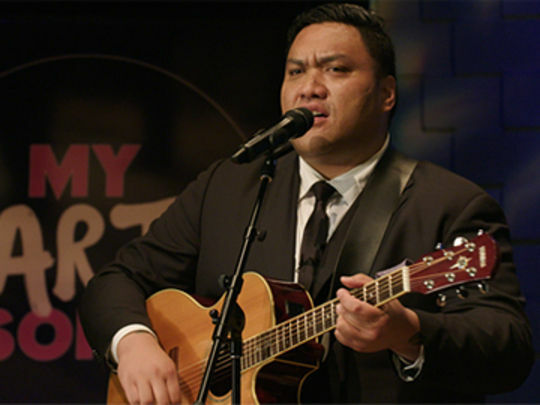 This NZ TV award-nominated documentary tells the story of radio station Mai FM. 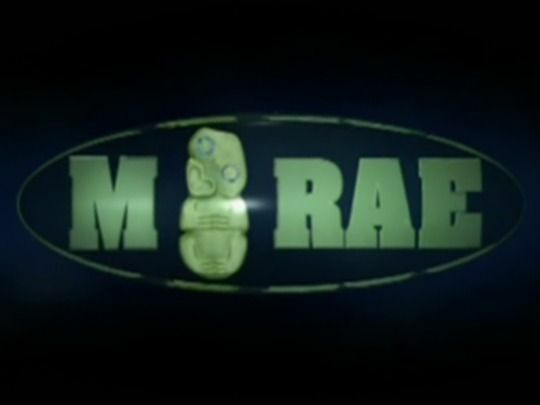 Founded in 1992 by Auckland iwi Ngāti Whātua, its mix of hip hop, r’n’b and te reo soon won ratings success. 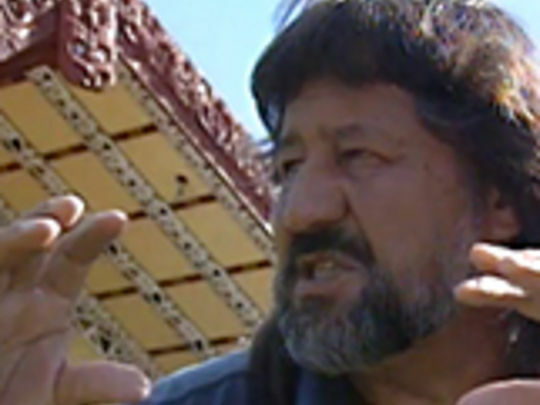 Original breakfast host Robert Rakete recalls early days when the station was a CD player hooked up to an aerial, while Mai FM's champions argue the station has executed its kaupapa: promoting Māori language and culture to the youth of Auckland, including the breakout phrase, “it’s cool to kōrero!” The introduction by Tainui Stephens was done for Māori TV's doco slot He Raranga Kōrero. 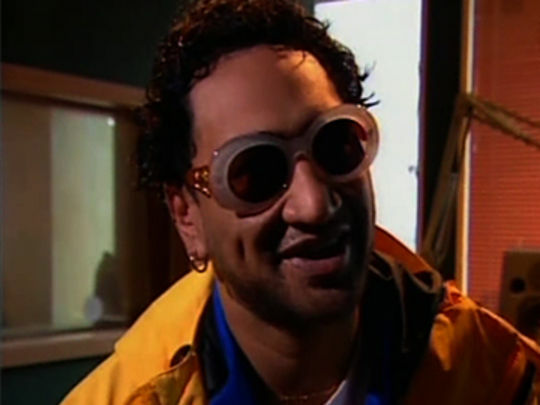 This bloopers reel comes from a 1998 episode of the pioneering series for rangatahi, which explored te ao Māori (the Māori world) and pop culture. 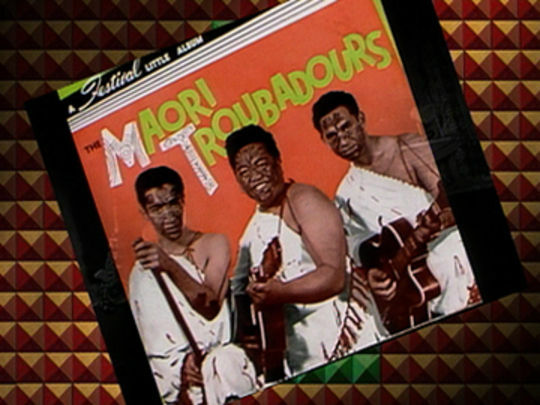 Named 'Mai Stakes', the outtakes montage includes presenters Stacey Daniels Morrison, Teremoana Rapley, Kimo Winiata, Bennett Pomana and Jared Pitman. Daniels Morrison nails her reo, but takes her wig off with her hoodie; and Pitman struggles to get his lines out. The soundtrack is The Jacksons 'Blame It on The Boogie', but the presenters have no one but themselves to blame for these bloopers! 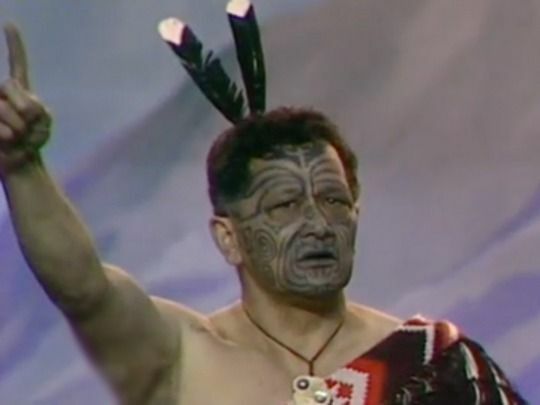 This edition of the Rangatira (‘chief’) series on Māori leaders, looks at academic and politician Dr Pita Sharples, a key figure of the Māori cultural renaissance. 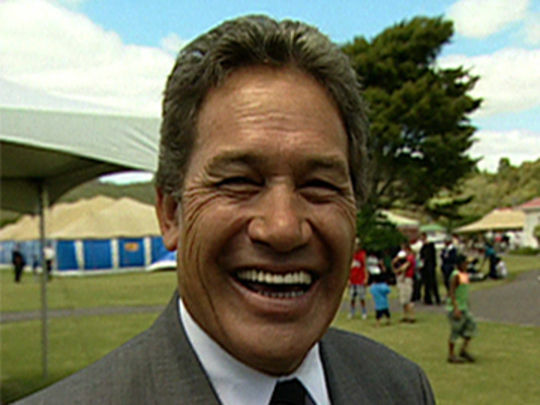 The future Māori Party co-leader visits his Takapau home, acknowledges his pivotal time at Te Aute College, talks candidly about the pressures his tireless schedule places on his whānau, demonstrates his cherished taiaha, and goes ten pin bowling. 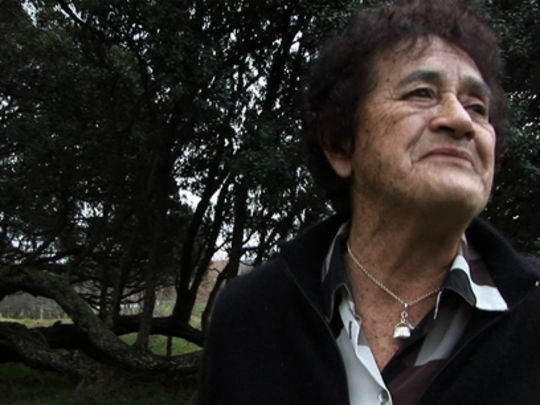 In extensive interviews he enthuses about realising the dream of kaupapa Māori (education, language, prison) cultures, and on the importance of kapa haka. 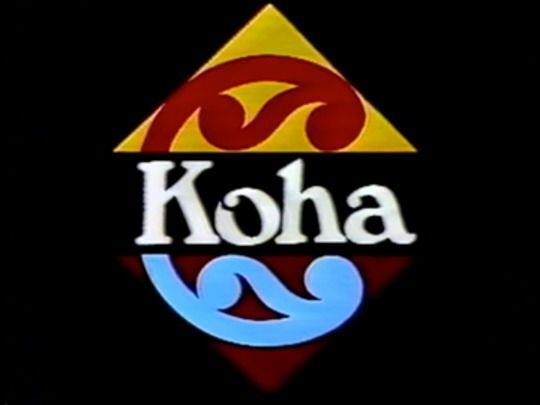 This 1988 film details a mission by 100 men to paddle a huge waka taua (war canoe) from Waitangi to Whangaroa, chronicling their spiritual and physical journey en route. The camera takes in training, the gruelling 10 hour, 70 kilometre passage, and the vessel's arrival in Whangaroa Harbour to mark Whangaroa County’s centennial. The waka, Ngātokimatawhaorua, was named after Kupe’s original ocean-voyaging canoe. Beached at Waitangi Treaty Grounds, it is the largest waka in existence. 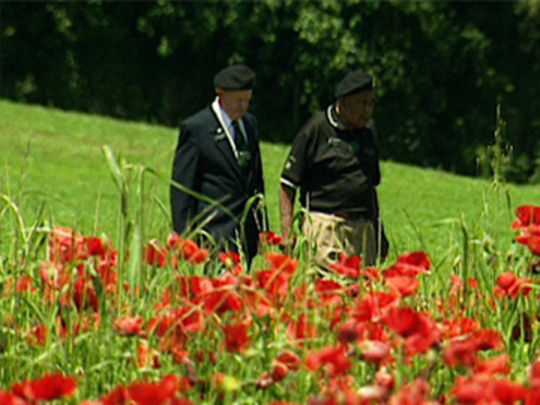 This was veteran filmmaker Tainui Stephens' first documentary as a director.